Lost savings bonds can be replaced even without knowing their serial numbers. If your paper U.S. Savings Bonds are ever lost, stolen or destroyed, you can obtain replacement bonds from the U.S. Treasury. The Treasury keeps records of the paper savings bonds it has issued, and it can search those records to replace your lost bonds. If you have the serial numbers, obtaining replacement bonds is simple. If you don’t know the serial numbers, obtaining replacements will involve some detective work on your part. In the event that you lost a bond's serial number, you can request a replacement using the Treasury's FS 1048 form. It would be most helpful to provide the name, address and Social Security number of the person who purchased the bonds. Other useful information includes the issue dates of the lost bonds, or at least a range of time when they were issued, such as “first quarter of year XXXX.” Perhaps you also know the face value of the lost bonds and details about how they became lost. Note down anything else you know about the bonds. The Treasury has a form, PDF 1048, that you must fill out to apply for replacement bonds. In addition to requesting information about the lost bonds, the form asks whether you owned the bonds or have the authority to act on behalf of the bond owner. Once you have filled in the form, don’t sign it. You have to take it to a certifying officer at your bank or credit union (not a notary) and have that person verify your identity and certify your signature. You then mail the completed form to the Bureau of the Public Debt in Parkersburg, West Virginia. There is no fee for the Treasury’s records search or replacement bonds. You have the option of redeeming the lost bonds rather than getting replacement bonds. If the lost bonds have reached final maturity, your only option is redemption, with payment by check or direct deposit into your bank account. If you choose replacement bonds, they will bear the original issue date and will be credited with all accrued interest. If the lost original bonds turn up after you've received a redemption payment or replacement, you won't be able to cash in the originals. They will have become property of the U.S. government and must be returned to the Bureau of the Public Debt. In the event that you don’t have the serial numbers of the lost bonds, you might be able to find other information that can help the Treasury find your bond purchase records. 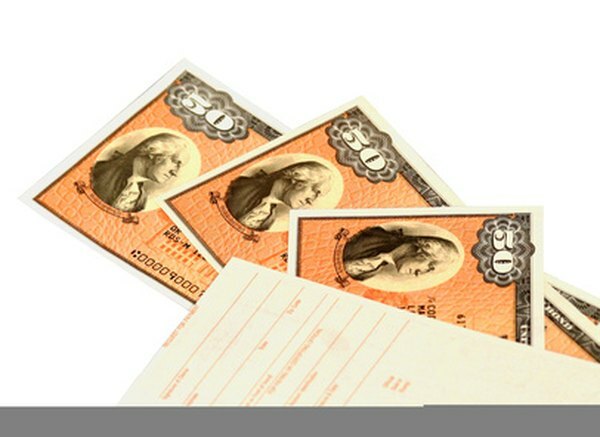 If you don’t know anything about the lost bonds other than the fact that someone once had some savings bonds somewhere, you are probably out of luck. The Treasury needs something specific to go on in searching its records. The more information you can supply, the better your chances of obtaining replacements for your lost bonds. Time: I Lost a Paper Savings Bond. Am I Out of Luck?